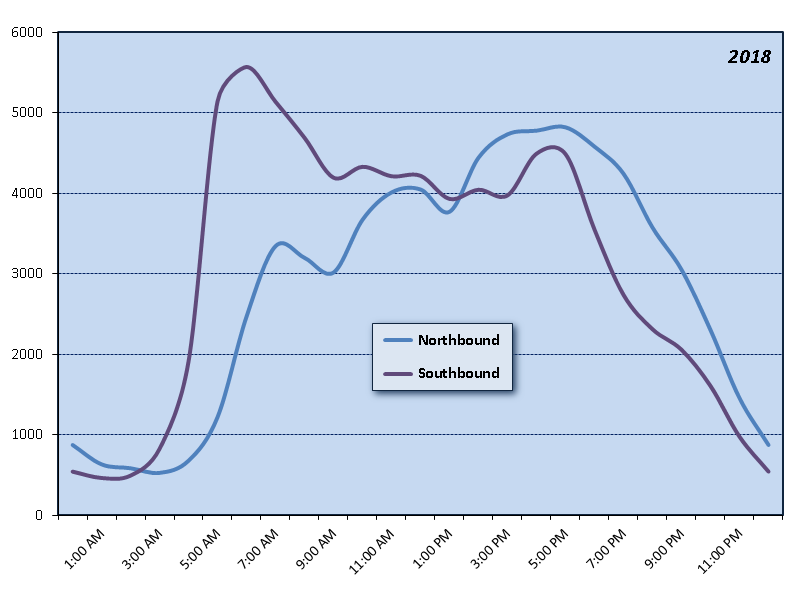 Based on current and historical average month and average day traffic data, these graphs show the directional hourly traffic volumes across the Interstate Bridge (I-5). Wave your mouse over the list of years to the right of the graph, to get a “time lapse” view of how the hourly traffic patterns have changed over the years. Average hourly traffic data for the Glenn Jackson Bridge (I-205) are also available. Hourly traffic counts were provided by the Oregon Department of Transportation, which maintains permanent traffic recorders on the south ends of both bridges.